Q: When did you start building? Q: When did you officially go into business? Q: How many instruments have you made to date? Q: How many instruments did you make in 2012? A: E-Bass and double bass. Q: Why / when should a player consider a custom bass? A: After playing other basses – when players know what he really need. When player can feel the great difference to mainstream instruments. Q: What should players know about your basses? A: We try using wood witch comes from our area. We have been collecting wood for more than 25 years – so we have a wood stock from very old and dry wood for more than 2500 basses. Every time we try out new things – to find better ways in building – and to the same time we hold on old traditional working with wood. We take all time that its need to build the best result. Q: What sets your basses apart from the rest? A: Our quality, sound and playability, know how, and Germans passion for perfection. Q: What would you like to tell players about yourself or your basses? 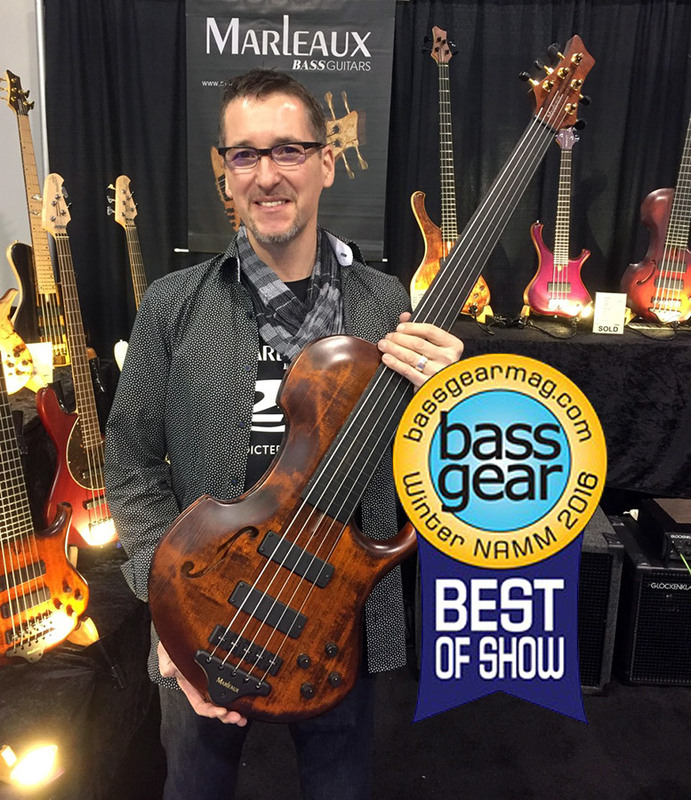 A: Check out a Marleaux bass – you will never forget it!